The whole movie I was playing a bit of a game of “was this a Krrish scene or a Kangana scene?” There was one firm definite, that Sonu Sood was recast after Kangana took over, so any scene showing Mohammed Zeeshan Ayyub was a Kangana scene. And all of those scenes were bad. So I am going to chalk all the “bad” parts up to her. When I say “bad”, I don’t mean they were unwatchably horrible. They were fine, did the job. Just kind of static in how they were filmed, the performances weren’t great, there was nothing that got me interested. Yes, Kangana successfully directed part of the movie, meaning that she got the scene filmed with all the actors in place and saying their lines and so on. 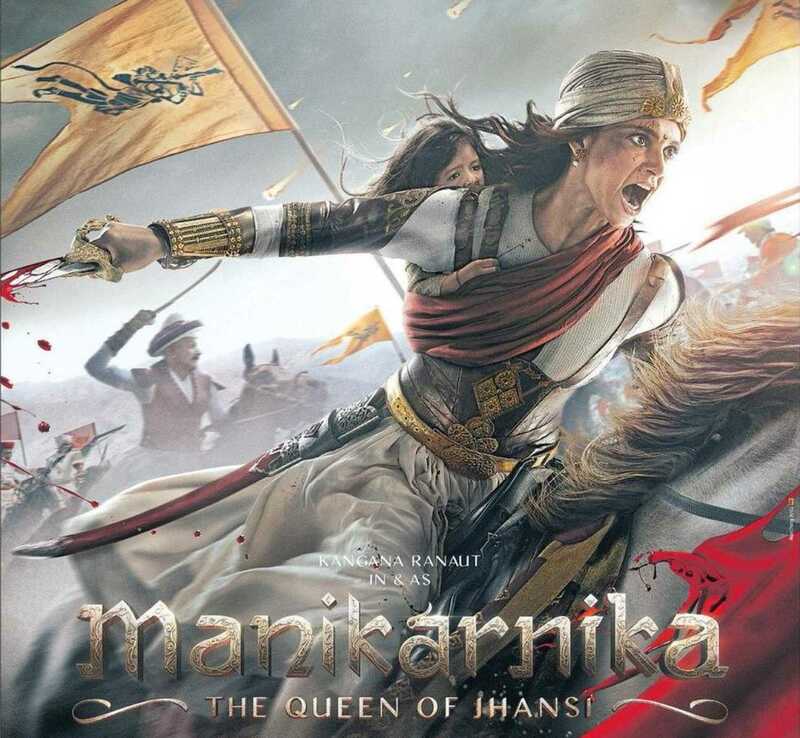 But considering that the original director left with most of the film finished, and then Kangana came in and insisted on reshooting and scrapping what he had done, in that situation she can’t just “successfully direct”, she has to be Brilliant, she has to justify her right to take over from the director. And, her stuff is just not there. If I hadn’t known there were two directors, for most of the film I would have just thought this was a very uneven director, someone who was far more interested in some scenes than others and put more time into them. there are some scenes where the camera is placed in a somewhat interesting way, where the rhythm of the dialogue flows along, where there is a sort of tension and interest in how it happens. And then other scenes that felt like just filling in the blanks, marking time, filming this because it had to be filmed. It’s seamless, you don’t sit up and go “wait a minute, this is a different film!” But it is there, the difference between the two skill and talent levels scene to scene. The big difference is in the final battle. Kangana said in interviews that she insisted on increasing the battle sequence. The final battle is an old school calvary and hand to hand fight on a big open plain. We’ve all seen this in many many films before. One side charges, the other side charges, charge charge charge, charge charge charge, clash clash clash, blah blah blah. And during 2/3rds of this scene, I found my mind wandering. I was thinking about buying milk, and where I parked the car, and if I should wash my hair tonight. It was just dull. The immediate comparison for me was the end of Bahubali, which was another big battle. But that one they had a lot of imagination with what to do with it. It wasn’t just the clever ideas like Rana’s lawnmower chariot, it was the way the cuts between the two groups were filmed, the camera changing angles and getting into the middle of the attackers to give you the feel of them all running towards you. And the rhythm of it, the build from long shots to close ups and back again, so you could see the battle as a whole, and also feel like you were in the thick of it. There was none of that here. It was just two groups running towards each other and then clashing. And after all that blah blah boring, suddenly the film turns brilliant. It closes in on Kangana, she is fighting on the ground with two swords, and the film quality changes, the color tone alters, and it slows down, and Kangana turns from a human character to something mythic thanks to how she is filmed. And that’s where I went, “this is Krrish. This is not Kangana, this is the original director. And this is BRILLIANT”. We can’t know exactly what was altered straight through with Kangana’s interference, but I can tell you the Mohammed Zeeshan Ayyub scenes are universally boring. Not so bad as to be consciously noticeable, just kind of a slog and you want to finish them and get back to the interesting parts. And I can tell you if Krrish’s original vision was the slow motion Kangana fighting in the battle, and Kangana’s was the sloooooooooooooooow build up to it, then he is a far far far better director and the rest of the film might have been very different if we saw his cut. I had to start with the directing, because that’s where all films start. Now I can move out from there to the performances. It really is Kangana’s show. She does okay, she clearly worked on things like developing a different stride for showing her power and regalness. And she has a couple of big break down scenes that she does well. But I wasn’t exactly completely impressed by it. That is, I think another actress might have been able to do it as well or better. Not every actress, but someone who had a similar method training and way of approaching a character. Her weakness continues to be in the battle scenes, her “warrior angry” face just looks odd, more like “I smelled something bad” face. Again, except for the final few minutes. And there are a few scenes early on where she feels overly sweet and naive, like she must be faking it (as a character) because no one is that sweet. Jisshu Sengupta, as Kangana’s husband, has a decent role and gives a good performance. There are several scenes of them together, falling in love, etc. But besides him, somehow every other character (and there are A LOT of characters) feels more like a cameo than a role. So it is hard to judge their performances. Danny Denzongpa is immediately impactful just because of the gravitas he brings onscreen. But unfortunately his role is slashed so much that we never get a sense of him as a character. Late in the film he says something that indicates a whole backstory between him and another character, which must have been cut last minute because that line of dialogue is nonsensical without it. Ankita Lokhande is pretty chopped up too. I kept mixing her up with Mishti, because the two women tended to be used somewhat interchangeably. In the same way, Suresh Oboroi and Kulbhushan Kharbanda got a bit mixed up in my mind. Oh, and then there’s Mohammed Zeeshan Ayyub (dropped the Mohammed for his role in this film, by the way, he is just Zeeshan Ayyub in the credits). He was really nothing special. If I had only seen him in Thugs, Zero, and this movie I would think he is a terrible actor. When is someone going to give him a role as good as Raees again? It’s not really a bad thing that this characters have such small and interchangeable parts. Again, we learned from Kangana’s interviews that she wanted to make a movie about the heroine’s journey more than anything else. That is this movie, Kangana moves through all of it and everyone else is just a cameo role. But it still feels odd, since the film was chopped up later, things like Ankita’s introduction are confusing and come out of nowhere, or Danny’s lost backstory that is referenced but never explained. There is even an important moment in Zeeshan’s story which got cut out in a way that makes the film harder to understand. It’s fine to have the focus on one character, but you need to make sure the other characters are served enough so that the audience isn’t confused. For the rest of it, it’s insanely historically inaccurate. I don’t even know that much about Rani Laxmibai, and I know that!!!! The treatment of her involvement with the British and the 1857 mutiny is all mixed up and confused. Even the dates shown in the film don’t work, we know she got married in 1842 and we know 1857 is 15 years later, and yet the film plays it more like 5 years later. I would hope that audiences would have the common sense to realize how inaccurate it must be and discount this version of history. There’s even a disclaimer at the beginning saying the filmmakers make no claim to accuracy about ANYTHING in this film. It actually says “anything”. Nothing here is true. And yet, I know there will be people for him this becomes the firm official historical version. Oh, and songs! I should also talk about songs. Shankar-Ehsaan-Loy did the music, they are my favorite composers, and the music is the worst they have ever written. I can’t remember a single song. Just, boring is all. There is one dance number with Ankita and Kangana, it’s not great. Besides that, the songs are all background montage things, sort of chopped up. That could be why I didn’t notice them as music, but I don’t think so. So, overall, this is a mediocre movie with flashes of brilliance that I ascribe to the original director. Watch it if you like historicals and want to see a semi-decent one. But also, before you see it, make sure to read my previous post that points out the elements of propaganda within the film so you are aware of who you are giving money to. This entry was posted in Uncategorized and tagged Danny Denzongpa, Kangana Ranaut, Krish, Manikarnika, Sonu Sood by mredlich21. Bookmark the permalink. That’s what I hoped you would write about – the different directing and the historical connection. No chance for me to watch the movie here, at least not in the next time…the announcement for many theatres was retracted a week ago. I would have liked to watch the movie for Kanganas performance but it seems to me that it would be sufficient to watch it when it is streamed. Yeah, Kangana’s performance wasn’t super impressive. It reminded me a lot about Vivien Leigh in Gone With the Wind, the role required certain expressions repeated over and over and over again, but she never really surprised me. I’m not fond of Kangana so I will probably give it a miss. I would love it if there was, but it doesn’t sound likely since Sonu never dubbed and Kangana refused to dub it. But I would still watch it, even if there weren’t full dialogue for all the scenes. If it’s her first (or second?) time directing, does she have to be great already? Sounds like a tall order to me. Having said that, if she wanted MK to be spectacular, then she should have let a spectacular director be the director. Do we have any idea how thing r e a l l y evolved and why exactly they turned out as they did? There is so much going on behind the scenes we don’t know. So yes, she should have been “great” when she makes herself a director in a movie that had already largely surpassed the initially planned budget. But eventually it is up to the spectator what counts… and there is no unanimity, neither in the praise nor in the critic. I’ll go back to my starting point. Yes, it is her first movie as a director. But if she felt she could direct it better than the person who was hired to direct it, than it has to be spectacular. The situation sets a higher bar. If it was a situation where there was absolutely no other choice and she had to take over as director, than I would say yes, she was good enough. But I don’t think it was that situation. It seems pretty clear that Krish really had finished the film, considering the actors were already moving on to other things. If I think about this like if she were working at a catering firm, if she was a waitress and the cook had a heart attack before making the cake and she finished it, then everyone would say “oh wow, you were a waitress and you leaped in and made the cake and it is edible” and be rightfully impressed. But in this case, it seems to be more like the cook made a cake, the waitress drove him away, and after he left she threw away his cake and made a new one. Her new cake has to be freaking spectacular to justify throwing away the other one and driving away the cook. And now that I think about it, the “first film” of a director isn’t necessarily any worse than their other films, is it? Zoya’s first was Luck By Chance, Farah’s was Main Hoon Na, Konkona’s was A Death in the Gunj. Gauri Shinde’s was English/Vinglish. If I controlled the world, I would look at what she did here, and tell her that she clearly had the basic skills down, but she should maybe apprentice with another director for a while, and start planning her next film carefully, and in a few years when she was really really ready, do her actual directing debut. Very similar. I also have problems with a lot of Kamal Haasan’s films for that reason. The film itself feels off, like I unless I am completely in love with and convinced by the hero from the first moment I see him, the film doesn’t make sense. And with Thugs of Hindostan and Zero and Race 3 this year, I felt kind of the same about the Khans, that they interfered too much and made the film too much about themselves. Although at least in those cases I was already a fan of them, so it was an easier watch for me personally. The difference for me in this case is that Kangana went so far in taking control, and she really is not at the same level of Kamal (From what I have heard, Kamal didn’t start interfering until at least his thirties, by which point he had 20 years of experience including his child stardom and had worked with all the greatest directors of Tamil cinema and was acknowledged as the greatest artist alive in Tamil cinema), so she must do something really spectacular to justify it. And I am not seeing that. Also not a Kanguna fan so no real interest in watching this one. Did you notice any change in her voice as we noticed in the trailer? Did you think it was it edited to song less sweet than her natural voice? I don’t think so, but her voice was much better in context. I think what we noticed in the trailer was a kind of lack of resonance when she was making her war cries. But in the film, they surround it with music and a longer speech and so on and it isn’t as much of a problem. There is one great scene where they use that as an advantage, her thin determined voice repeating over and over again shames the listeners. I had a bigger problem with the earlier scenes, when she is playing young and innocent, and her voice is too sweet and too babyish, it feels fake.